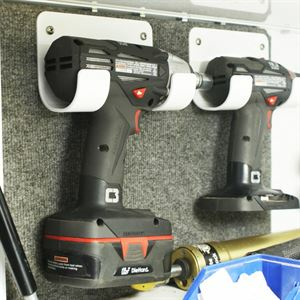 For the shop, trailer, or Mule- the HRP cordless drill holder is a fantastic item to have. Keep track of your cordless drill so it's always where you need it. Easy to clean durable black powder coat finish. Sold each. Drills and items shown in photos not included.